In this interview we welcome Agata Czopek (LinkedIn Profile) and discuss that diversity is a fact and inclusion is a choice. Companies with diverse executive teams are 21% more likely to outperform the companies rated in the bottom quartile of diversity. Have you ever experienced a situation that made you feel uncomfortable? Let’s discover the attributes of an inclusive leader and the steps needed to improve team performance by addressing unconscious bias. This interview was recorded ad the crowded Project Management Institute (PMI)® Global Conference 2018 in Los Angeles, California. We learn to describe attributes of an inclusive leader, identify techniques to improve performance by addressing the unconscious bias, and see that privilege is invisible for those who have it. In today’s “right now” business environment, “hurry up and wait” annual planning cycles won’t do! To be fit for purpose, PMO processes deliver value faster than the competition—continuously, and certainly not just annually. Lean agility delivers this winning velocity! Here's a diet to help lean out an overweight PMO. Transforming the heritage PMO takes insight, empiricism, and experience. This interview with Andy Burns (LinkedIn Profile) was recorded at the encouraging Project Management Institute (PMI)® Global Conference 2018 in Los Angeles, California. The experience shared in this interview should inform those needing to deliver fast—before the competition! We compare and contrast the practices of the heritage PMO and the lean-agile PMO and illustrate a technique to tailor the PMO process. It's hard to juggle everything on your project. And just a glance at your company's project management methodology can make you despair about getting it all done. But if we take a page from agile development, adding tools from behavioral psychology to Pomodoro, and incorporating pragmatic prioritization, you’ll be able to build a personalized time management system that fits your own working style. Come out of this interview with a manageable system for yourself and the tools to help your team members manage their own time and priorities. 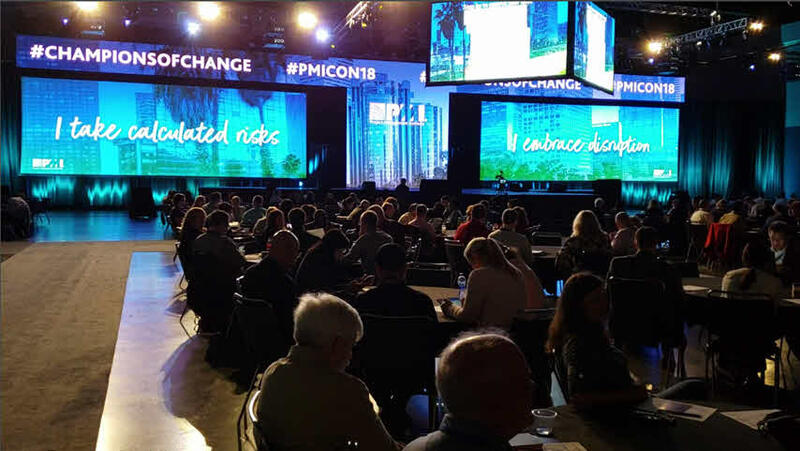 This interview with Kim Wasson (LinkedIn Profile) was recorded at the exciting Project Management Institute (PMI)® Global Conference 2018 in Los Angeles, California. In the interview we review the key components of a good time/priority management system, the smorgasbord of tools available, and we discuss how to create a tailored time management system and advise team members on ways to manage their time and priorities. If you are setting up a PMO for your company, then no matter what industry you are in, having the right PMO tools at our disposal can make a significant difference. And as they relate to the PMO, tools are the moment when you shift your focus from management to administration. In fact, we project managers and program managers may even find ourselves scrambling around to find not only relevant but also accurate information to update our statuses, while resource managers may have to connect with several people to determine if they efficiently staffed their resources and have sufficient capacity for the upcoming initiatives. And these are just some some of the reasons why our PMOs need the right tools. But what are the right tools and how do we identify them? And why on earth did we end up using this tool over here which is clearly wrong for our PMO? All of those questions and also ‘Why are the right tools so important?’ is what we we are going to discuss today with Hussain Bandukwala (LinkedIn Profile).